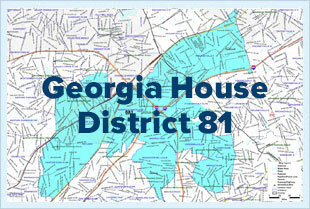 In this post, I bring you updates on two issues: the redistricting of the DeKalb County School Board, and the House Resolution dealing with state charter schools. I also am providing links to three reports by special state advisory committees, on the topics of health care exchanges, criminal justice, and the water supply. The DeKalb Delegation met last Wednesday to consider maps that would redistrict the School Board. In short, no votes were taken. Instead, the Chairman of the delegation assigned three legislators with the responsibility of speaking with legislative counsel to inquire as to what options are available to hold a referendum that would reduce the size of the School Board as mandated by Senate Bill 79, which was enacted last year. It is unclear how this issue will be resolved but I will certainly provide updates when I have one. I support a referendum for voters to decide the size of the school board. The current law states that the board should be no more than 7, which means that voters could select a board size of 5 or 7 members. In addition, I support a referendum to change the terms of the school board so all members start their terms at the same time. I believe this would increase the community's involvement in the school board elections since all members would be up for election at the same time. As I noted in my previous newsletter, HR 1162 was introduced in order to allow for state-chartered public schools. The bill came about because of the Georgia Supreme Court decision to strike down the Georgia Charter School Commission. I opposed the first version of this bill, as I was concerned that funding for state charter schools could decrease funding to local public schools, and wanted to ensure that this would not happen. This led me to author HR 1335, which addressed the issues raised by the Georgia Supreme Court as well as the funding issue. On the first vote, HR 1162 failed to garner the required 2/3 required for a Constitutional amendment. Subsequently, HR 1162 was revised to define state charter schools and to clarify that only state funds could be used for state charter schools and any funding for these schools cannot reduce the funding for local public schools. I worked with the authors of the resolution on these changes and decided to support the revised version. Here is a story in the AJC. This past Wednesday, HR 1162 passed the House and will now be considered by the Senate. The reports by special state advisory committees on health care exchanges, criminal justice, and water supply can be found under the Issues tab of this website.